IPS gave me a structure through which to be creative and share the beauty around me. The first of this year, I left Character First where I have worked for the past nine years. And I’m currently looking for work in public relations, online communication, or publishing in Oklahoma City or southern California. I shoot images to go with what I’m writing. I shoot to capture moments with loved ones. I shoot to capture the detail and the beauty I see along the way. Want to be featured on the IPS blog? Click here to submit your photography information! You may have noticed that Adobe Photoshop Lightroom 5 has recently been released. This upgrade to Adobe’s fantastic Lightroom product will be incorporated into the IPS curriculum over the next few months. Students participating in online classes over the summer may use either Lightroom 4 or Lightroom 5 and the instructional videos they watch may feature either version of the software. Students participating in our live classes in Manitou Springs this September (2013) should purchase or upgrade their software to Lightroom 5. Students participating in online learning from September 2013 and onward should also purchase or upgrade to Lightroom 5. 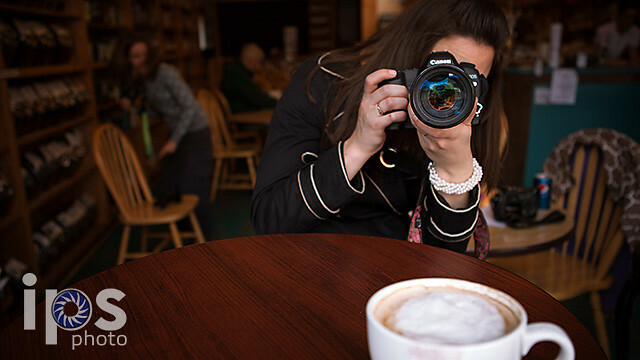 Every spring and fall we offer live, week-long workshops of our Digital Photography 1 and Digital Photography 2 programs in Manitou Springs, CO. This is where you get to hang out with other photographers for a week of photo boot camp-eating, sleeping, and dreaming photography. These workshops are hands-on, giving you complete access to our cadre of instructors who are bent upon pushing you to your photo max. We are confident that there is no better place for you to get the creative and technical boost you’re looking for to take your photography to the next level! Our online classes give you 8 weeks of learning guided by an IPS instructor. Each week you will watch tutorials, shoot photographic assignments, share photos with your classmates, and participate in a webcast review and critique of your work. Several research papers will push you further as you translate what you’ve learned back into English. Your weekly review session is a live event where you and your instructor evaluate the images you have created, taking your learning to a whole new level. Your dedicated instructor is available throughout the week via email or phone to answer your questions and help you understand the material. Our Audit Edition gives you the same 8-week experience as the Full Edition, but drops the grades and papers. Each week you will watch tutorials, shoot photographic assignments, share photos with your classmates, and participate in a webcast review and critique of your work. This weekly review session is a live event where you and your instructor discuss the images you have created, taking your learning to a whole new level. Your dedicated instructor is available throughout the week via email or phone to answer your questions and help you understand the material. Participating in an Audit Edition online class gives you perpetual access to the corresponding tutorial videos from the start date of the class onward. Your assignments will be reviewed, but not graded, and you will not receive a transcript. You will still receive a certificate of completion. The Audit Edition of our online classes gives you access to the exact same tutorial videos and assignments as the Full Edition, but drops the grades, papers, and deadlines. You pick your own start date with the Audit Edition, and then have 6 months to finish your course. As you complete your assignments, you will submit them to your dedicated instructor who will respond with a recorded critique of your work within 3 business days. Your instructor is also available to you via email for those random questions you’ve always had about photography or to clarify something from a video. Participating in an Audit Edition online class gives you perpetual access to the corresponding tutorial videos from the start date you select. Your assignments will be reviewed, but not graded, and you will not receive a transcript. You will still receive a certificate of completion. The Solo Edition of our online classes gives you access to the exact same tutorial videos and assignments as the Full Edition, but from there you are on your own. We will happily provide email based technical support to facilitate access to the videos. I am really excited about these changes and I hope this makes it easier for more people to fall in love with photography! *The Institute of Photographic Studies is not accredited. Academic credit is subject to approval by your local institution.